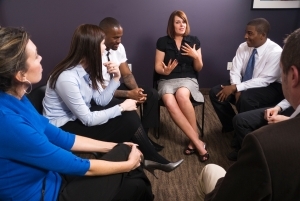 Throughout the year, Oakwood Psychology offer a series of group counselling courses. Group therapy is suitable for those who want to discuss and learn in a friendly, confidential and supportive environment. The group programmes range in length from one-off wellbeing workshops to weekly courses meeting either during the days or evenings for up to 8 weeks. Our 2019 Well Being Group Course list is now out – download it here. Full details of upcoming courses can be found in our events listings.